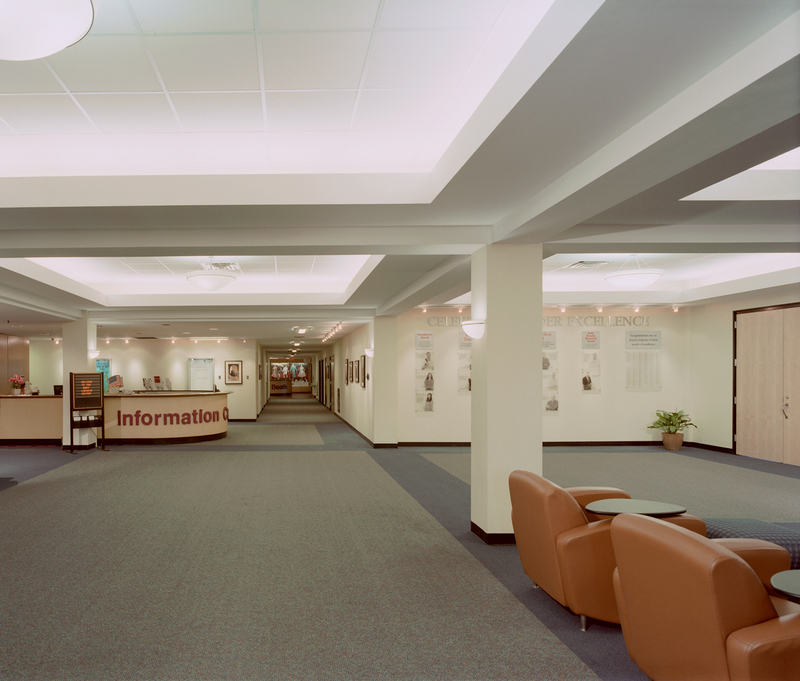 This design resulted in an aesthetic upgrade to the existing student center lobby and circulation spaces. The existing 1960’s space was a tired and unwelcoming mixture of varying materials, colors, and harsh lighting. The need was to provide better support for the varying functions that were held in the building, including large conferences, artwork displays, campus information and announcements, and various student activities. This renovation work was accomplished within a highly limited budget and schedule. 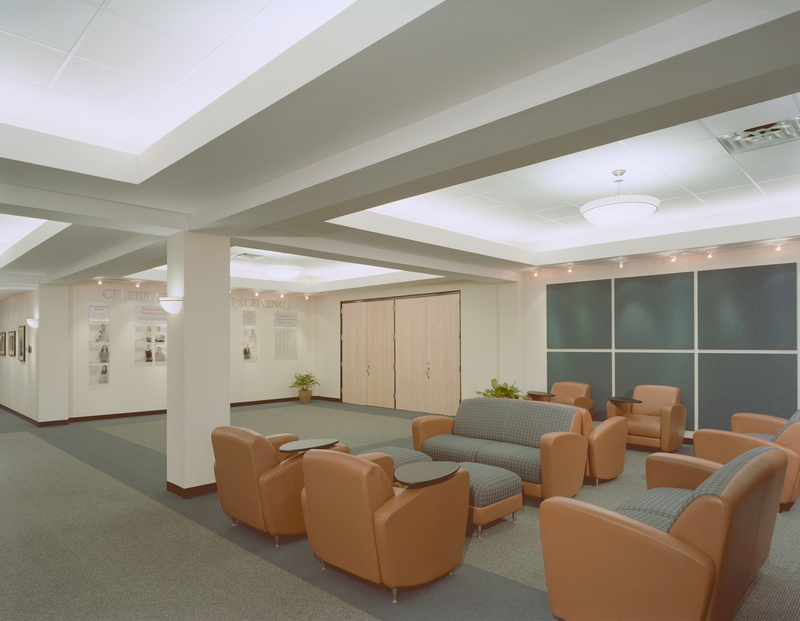 The new finishes and lighting serve to unify, soften, and acoustically control the space, while integrating the existing structural elements of the building. The finished space was to provide a “classic” feel to it, in accordance with the requests of the University. The University was pleased with the results in that this is often the very first space to greet new visitors and students to the University.